There are lots of fascinating things to do in Delhi with kids of all ages! Babies and toddlers will like seeing the peacocks in the parks, children will be fascinated seeing the artisans creating their art at the Crafts Museum. Teenagers will be excited on a thrilling ride in a rickshaw through the chaotic streets of New Delhi, India! New Delhi is a huge bustling city of 15 million people! So be prepared for traffic jams, noise and crowds. There are however some nice parks to escape the chaos from and enjoy some peace and quiet. Visiting the parks is one of the best things to do in Delhi with kids. 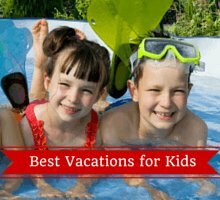 If you are looking for New Delhi family hotels We will let you know some of the best places to stay with kids. 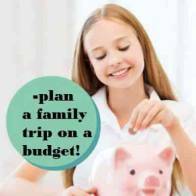 Choose from cheap family rooms for those on a shoestring budget, central serviced apartments, and luxury accommodations. Read more! New Delhi is a great spot to start a tour of the Golden Triangle with kids. 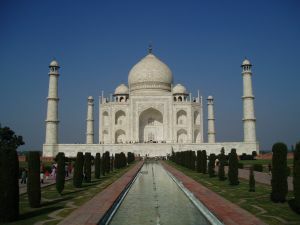 The golden triangle includes Delhi, Agra (Taj Mahal) and the beautiful city of Jaipur. 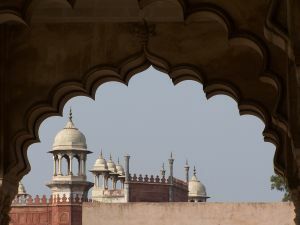 Head to the Red Fort is one of the interesting New Delhi family attractions. It is a bit run down but kids will enjoy exploring the grounds, seeing the mini bazaar and the war museum. There is a light and sound show in the evenings. Humayun's Tomb is a great spot to escape the hustle and bustle of New Delhi. This memorial was built by the wife of a late emperor and is a beautiful site to see. It is a red sandstone building surrounded by beautifully landscaped gardens and water fountains. It is very peaceful-great place to go for a stroll with your baby or toddler. Children will like exploring the nooks and crannies inside the buildings. One of the interesting things to do in Delhi with kids. A visit to Akshardham is one of the best things to do in Delhi with kids. This amazing Hindu temple. This is a new temple that was built to represent 10,000 years of Indian Culture. Children will love the musical fountain(evenings), the ride in a peacock shaped boat and seeing the film of an 11-year-old yogi's pilgrimage in India. There is an excellent food court here. The complex is closed on Mondays. Read more. If you want to catch a glimpse of the "real India" head to Chandni Chowk. This is a market area filled with streets selling everything from saris, street food, flower garlands, appliances and more. This place is chaos but quite fascinating! Kids will love seeing the monkeys climbing on the mess of electrical wires, animals roaming the streets, rickshaws, vendors and colorful souvenirs! Not for the faint of heart-best for older kids and teenagers. Hauz Khas Village is a lovely neighborhood to explore with children. There are some great restaurants and some great shops selling art, antiques, jewelry and fashion! 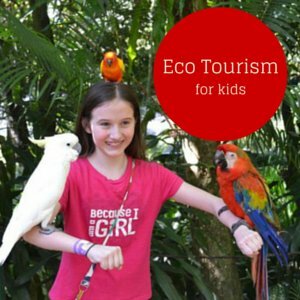 Take a walk through the park-kids will love the deer park and seeing peacocks! There is a lovely lake and some ruins to explore. Head to Gandhi Smriti to learn more about this wonderful man and his fight for peace. It is very quiet and peaceful here. You can explore the museum and house where he lived his final days. There are nice gardens here and a path showing his final footsteps before he was murdered. Great place for children to learn about the amazing contributions he made to our world. A rickshaw ride is one of the wonderful things to do in New Delhi with kids. Hang on tight as your driver zips through the busy streets dodging people, bikes, carts, animals and more! There are a range of rickshaws to choose from including basic bicycle rickshaws for two people, motorcycle rickshaws and more modern electrical rickshaws that can carry up to six people. You will even find colorfully decorated ones! One of the entertaining things to do in Delhi with kids. Be sure to agree on the price before you get in!!! A highlight of your trip will definitely be the Indian cuisine! Children will devour the tandoori chicken, flavorful curries and naan bread! Check out these tasty Indian food for kids to sample on your family trip. 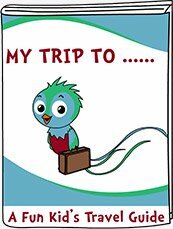 Be sure to include it in your things to do in Delhi! 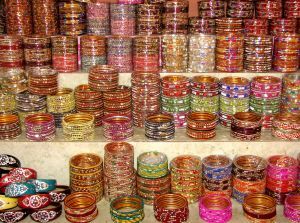 Children and teenagers will love spending their allowance money on souvenirs at the colorful Dilli Haat market. There are lots of stalls selling purses, clothes, pottery, jewelry and lots more! There are also lots of food vendors here! If you are looking for a more upscale market then head to Khan market for quality artisan crafts. Lodi Gardens is a great spot to visit with children. You can stroll the garden paths with your baby or toddler in a stroller. Stop and check out the fish in the lake, butterfly gardens and bonsai trees. Lots of open areas for the kids to run around and many vendors selling drinks and ice cream.There are several ancient tombs to explore (there are steps to go up-may be a challenge if you have a stroller). Head to Feroz Shah Kotla Stadium to catch a cricket match with your family. The kids will have a great time cheering on the Delhi Daredevils! Great way to learn more about one of India's favorite sports. 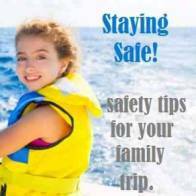 When your kids are templed out head to Adventure Island for some fun on the amusement rides. There is something for all ages here- rollercoasters for your older kids and teenagers, water rides to cool off in and some kiddie rides for your toddlers and small children. It is attached to Metro Walk Mall which has a mix of fashion stores and a food court. Head to Agra to see the Taj Mahal. This is about a 3-hour train ride away (2 hour on Express train). You can hire a driver but it is about 5 hours to get there. Consider staying overnight in Agra and checking out the fort with your kids as well. The Taj Mahal is a Wonder of the World and one of the best things to do in India with kids! Children are fascinated by the story of the emperor and this beautiful structure that he built for his late wife. Be sure to hire a guide to learn all about the history! Visit the National Zoo and see the animals. Babies, toddlers and children will enjoy seeing the white tigers, monkeys, lions and more! Head there during the week to avoid the crowds. This is one of the fun things to do in Delhi with the whole family.. Check out the Crafts Museum. Kids will love seeing the artisans at work painting, weaving, making pottery and more! There are an estimated 30 million crafts workers in India and is an important part of the economy. There is also a village complex with buildings typically found throughout rural India. 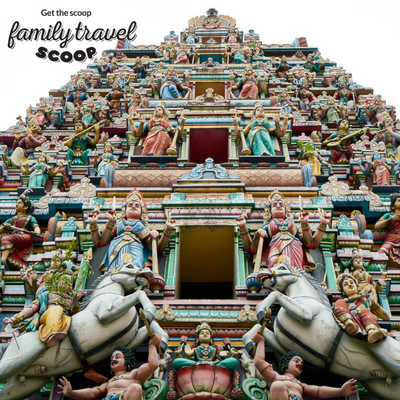 Read more Asia holiday destinations for families!